According to the 1986 Act, children 14 and under are permitted to work, except in 13 hazardous occupations and 57 hazardous processes. The Act also imposes additional restrictions on the conditions of children’s work, including limitations on working hours, required holidays weekly, and workplace safety regulations. The 2012 Amendment to the Child Labor law proposes a ban on labor for all children under the age of 14 in all occupations and all processes. The Amendment explicitly links this ban to the Right of Children to Free and Compulsory Education Act, which provides a fundamental right to education for all children between ages 6 and 14. Harvard FXB enthusiastically supports approval of the 2012 Amendment, in general. This move by the Modi government would bring India more closely in line with international standards for the protection of children’s rights. However, there two proposed exceptions to the complete ban on child labor are of serious concern to us and to Indian child advocates. In its current draft, the amendment now permits child labor in situations where the child “helps” his or her family or family enterprise, or where the child works in the entertainment industry. The Modi government justifies the new revisions by arguing that they promote “entrepreneurship” and the development of valuable business skills for the future. 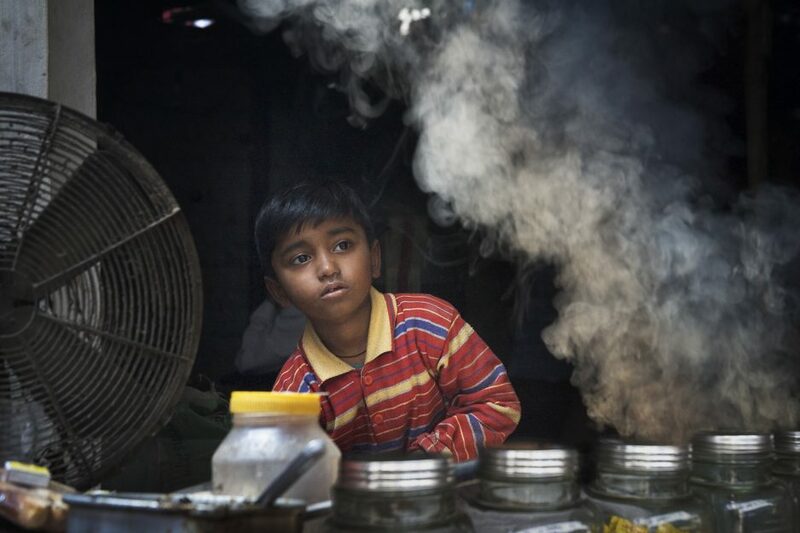 Some critics, quoted by both Indian and American media, counter that any authorization of child work within the family constitutes a slippery slope towards legitimation of child exploitation. In our view, this argument is not persuasive because it mischaracterizes the proposed exceptions. Though they permit work within the family, the exceptions explicitly prohibit child labor in any hazardous occupations, including when working with family. The arguments advanced by Kailash Satyarthi, the prominent child’s rights activist and 2014 Nobel Peace Prize winner, against the proposed amendment are – according to Harvard FXB – more persuasive. In a Times of India editorial Satyarthi points out that the amendment’s inclusion of exceptions to the ban on child labor reduces what would otherwise be a truly positive development to a mere half step forward. We agree: These exceptions strip the proposed reform of its power to definitively transform the landscape of child labor in India. Several problems arise when children 14 and under are allowed to work with their families. To start with, very few among the poorest families are “entrepreneurs,” in a position to impart business skills to their minor children. Rather, they tend to be unskilled hourly wage laborers or piece workers. In these families, children join their parents in physically demanding, repetitive tasks to supplement the very meager wages generated by adult workers. What is more, as a matter of international law (binding on the Indian Government), children have the right “to rest and leisure [and] to engage in play and recreational activities.” These activities, including engaging with peers and playing sports, are an important part of healthy child and adolescent development. Children need time to do homework (assuming they are in school), to play, to get a good night’s sleep. Working in the family “business,” unless such work is kept to a minimum, for short periods wherein the child genuinely is learning a skill set, detracts from the chance to engage in more productive activities and constitutes a potentially harmful tradeoff. Moreover, the family work exception will likely have disproportionate effects on girl children. Our research shows that girls, from an early age, have little time to do homework and no time to play because they are “helping their mothers” with housework, child care, cooking, water fetching, garment construction, and other tasks that home-based workers share with their daughters. Formalizing the expectation that girls shoulder substantial amounts of domestic work perpetuates the pervasive gender imbalance in access to education, career development, and recreation. Lastly, even if children work only after school hours and during holidays, those 14 and under will have a smaller chance of performing well at school and passing the competitive 10th and 12th standard exams, which facilitate access to higher education and better employment opportunities and earning prospects, attributes known to correlate with later marriage and first-time pregnancy. Secondary and tertiary education are critical in a skill-based global economy. Any government interested in promoting the entrepreneurial talent of the next generation must safeguard access to the best possible educational opportunities, including those associated with recreation, socialization, and a real chance to further talent and ambition. Child labor, even within the confines of the family, is not compatible with these goals. Convention on the Rights of the Child, Article 31.